Get a fast land survey estimate & quote now! 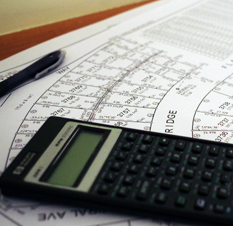 Advance Land Surveyors Pty Ltd offers an extensive range of cadastral, engineering and construction survey services, to assist you achieve your goals on your latest land development project. At Advance Land Surveyors we make our client’s goals our goals. Our Registered Land Surveyors regularly provide fast, professional, dependable and cost effective surveying services throughout the Penrith, Blacktown, Blue Mountains, Hawkesbury and Sydney Metropolitan areas, including Sydney’s Northwest and Southwest land release areas. The highly trained professionals at Advance Land Surveyors use the latest survey equipment and technology to ensure that our client’s projects are completed on time and on budget. Continuing professional development requirements for our staff allows our clients to be confident that their survey needs are being looked after by professionals who are keeping up to date with the many complex and dynamic requirements of development in NSW. I am Buying or Selling Real Estate. What Kind of Survey Do I Need? I have just finished construction of my new house and need to get an occupation certificate. What Kind of Survey Do I Need?